On July 23rd, Jupiter, the planet of wealth, starts moving backwards through the sky and it will continue in that backwards position until November 18, 2010. Traditionally, this means money shortages. However, because it is also in the sign of Aries, which is about social climbing and careerism, we are also going to find ourselves a bit short of opportunities to get ahead in life. When it moves forward, Jupiter is about expansion in life. When it moves backwards, it is more about expanding your inner awareness and growth. The positive side of Jupiter retrograde is that it allows you to get in touch with your personal integrity. You may find yourself examining your own flaws and they will seem more obvious than usual, as if you are examining them through a looking glass. Yet another effect of Jupiter moving backwards in the sky is an inability to tolerate secrets, lying, or phoniness in others. You simply will want to overturn anything that does not seem true or credible to you. Projects and relationships that were built on false pretenses will topple and be replaced by more worthy endeavors. Jupiter retrograde also asks us to examine where we have been phony or dishonest in our relationships. If you are playing a role in life that is somehow fake, you are going to be more willing to shake it off and try to find the "real you." You might also find that seeds you have planted in the past come to fruition during a Jupiter retrograde. Sometimes these opportunities that come up can prove to be quite lucrative even though the planet is going backwards. Still Jupiter going backwards is not very good for starting a new business. The Jupiter retrograde also sometimes is a call to go back to school, receive new training, or make a connection with a long lost friendship. It also favors humanitarian causes or a fund-raising project. The twisted thing about the Jupiter retrograde is that it is more likely to make others a profit rather than yourself. Jupiter rules loving relationships, so this is also a good time to try and restore life to relationships that we might have thought were dead or dying. Make the effort to go back and make the connection. You may find yourself underemployed for the next few months, but the upside is that you will be able to spend more time with family. Be especially careful not to break your promises from August 3rd to 5th when Mars conflicts with Jupiter. Be careful not to overreact to a challenging situation at work on August 3rd when Mars clashes with Jupiter. On August 9th, be sure to keep a promise to a spouse or a lover or risk losing the relationship. Use this time to investigate your wildest hopes and dreams with a special someone and then decide on how you are going to make it all a reality. You will enjoy this retrograde because it will give you time to relax and work on projects that may have been left on the back burner. Revisiting the past offers a chance for a reunion. Don’t overreact to any gossip that you may hear the second week of August and the first week of October. This retrograde will offer you the perfect opportunity to reorganize your finances and redo your mortgage. Many of you will be seeking temporary places to live while you assess what direction you would like your life to go on. You may not be able to count on a partner during the month of August, as she or he might be too stressed to keep promises. This retrograde is going to hit you in the pocketbook, but on the upside, it will also help you scale back and figure out a plan as to how you are going to save money in the future. A long lost love from the past could also keep you company this summer and fall. Watch out for a jealous ex or spouse on August 9 and 10th. Jupiter retrograde may force you to a decision where you have to sell a property or sacrifice something dear to you just so you can survive. It simply may be apparent that you are too overworked to support your current situation. Avoid making someone jealous on October 1st or 2nd as it could cost you financially somehow. Tightening your belt is always a consequence of a Jupiter retrograde, but the upside is that underemployment and a more relaxed pace is going to give you more time to spend with family and pets. Beware of a relative that may be trying to take advantage of you around August 1st when Venus clashes with Jupiter and brings desperate types to your door. You need to be very honest with yourself and others in the next five months because one little slip up could cost you a relationship or a job or both. People are extra sensitive to betrayal at this point and you must do all you can to prove to a higher up that you are trustworthy. Avoid gossip or standing up for any underdogs on August 5th when Mars clashes with Jupiter and makes conflicts with bosses very likely. You may be frustrated that Jupiter retrograde is sabotaging some of your travel plans, but on the other hand, you are going to enjoy this opportunity to do some “traveling within” for a change. This is a good time for you to read books, go back to school, or get into therapy. Raising money for a charity in October will go a long way towards improving your reputation. 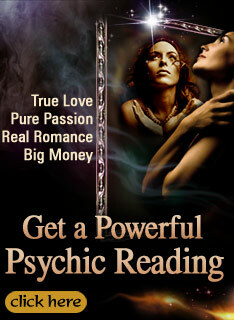 You are dealing with several planets that may have you fighting with relatives and friends over money and property. When Jupiter goes retrograde, this issue might become very serious as it will be obvious that many will not be able to pay you back. You could also face the possible loss of property before the end of the year, if you are not savvy about saving money. This Jupiter retrograde is going to provide you with the ideal opportunity to go back to school and, in fact, many Aquarians might be asked to teach their skills to others. This is a good time for you to revisit old projects that you have left on the back burner for too long. Don’t be surprised if those you do complete turn out to be big money making ventures by the New Year! When Jupiter goes backwards in the sky, there is inevitably a money shortage, so you are going to have to think of clever ways to have fun with friends or family over the next few months. You may also experience a shortage of work, but you would be wise to look into alternative ways to make money as a freelance or even as an online entrepreneur. By the New Year, you could find yourself nurturing a whole new career.